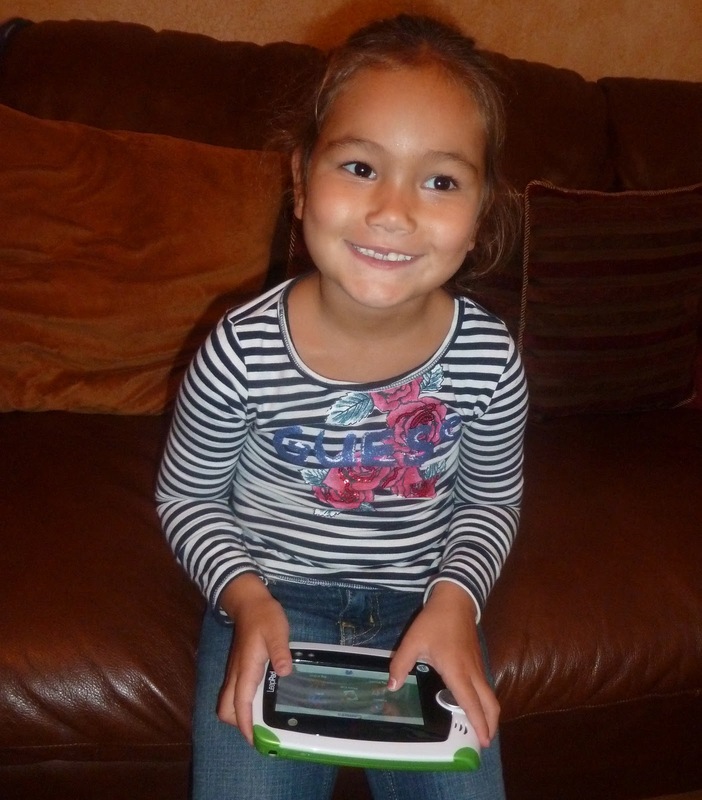 Last weekend we hosted a Learn, Create & Share Party sponsored by Leapfrog. The Lil Divas and I enjoyed the company of 5 Moms and their 10 children to test out some fabulous Leapfrog products including the NEW LeapPad Learning Tablet. The LeapPad was pre-loaded with some fabulous games and apps for us to try, including Roly Poly Picnic, Letter Factory Video, Pet Pad, Art Studio, Story Studio, Cars 2 Ultra e-book and the LeapSchool Reading Cartridge game. We also received a Tag Reading System with Interactive World Map and Learn to Read Series 1 Books: Short Vowels to try, some fun coloring and activity sheets and some valuable coupons! Can you see why we were so EXCITED?! I was THRILLED to be able to share these goodies with our friends. We are a LeapFrog household so we brought out a few of our other fab toys for everyone to play with as well including Scribble & Write, Fridge Words Magnetic Word Builder, Letter Discoveries and Text & Learn. The kids took turns playing with all the Leapfrog products. 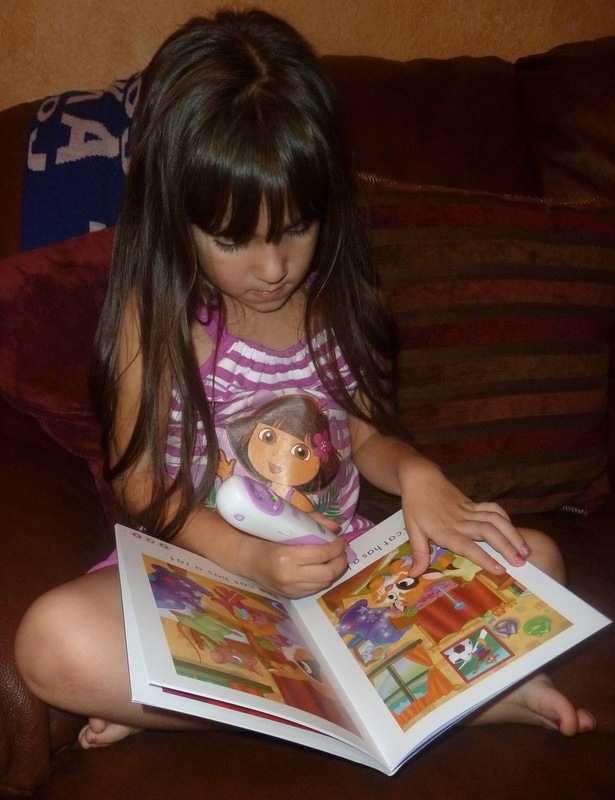 Some read books with the tag Reader (luckily we had already our own so we had 3 total for kids to play with & share!) My Littlest Diva adores her tag reader. She loves hearing the books come to life in the characters voices and she enjoys trying to sound out the words and using the tag reader to see if she as correct - it is instant feedback. I like the added bonus games and questions which are great for comprehension, practicing phonics skills o just having a little fun. The kids had fun playing with the Interactive World Map where they had the chance to "meet" kids from around the world and learn how to say hello in various languages. My Oldest Diva loves this feature of the World Map. She is very aware of different languages right now and has been enjoying practicing saying hello in various languages since we received the World Map. How fabulous is that?! By far the most sought after toy of the party was the NEW LeapPad. From our youngest (3 yr old) to our Oldest - 5/6 yr olds. 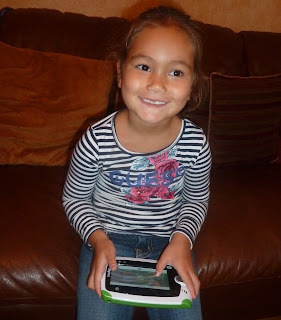 - all the kids enjoyed the LeapPad. The size, easy to use buttons and touch screen made it easy for all of them to manipulate. What I found fabulous was that they needed very little instruction. In my opinion, it is very user friendly for children. The kids simply explored, created, shared & learned! Isn't that what it was all about? PERFECT! The kids were playing games, watching videos, creating works of art, taking pictures and recording videos - all on their own! I know a few lil ones who will be getting a LealPad this holiday season. I found the LeapPad easy to start-up and download. I LOVE the access to track their playing/learning on the Learning Path and that there are easily downloadable apps as well as cartridges. 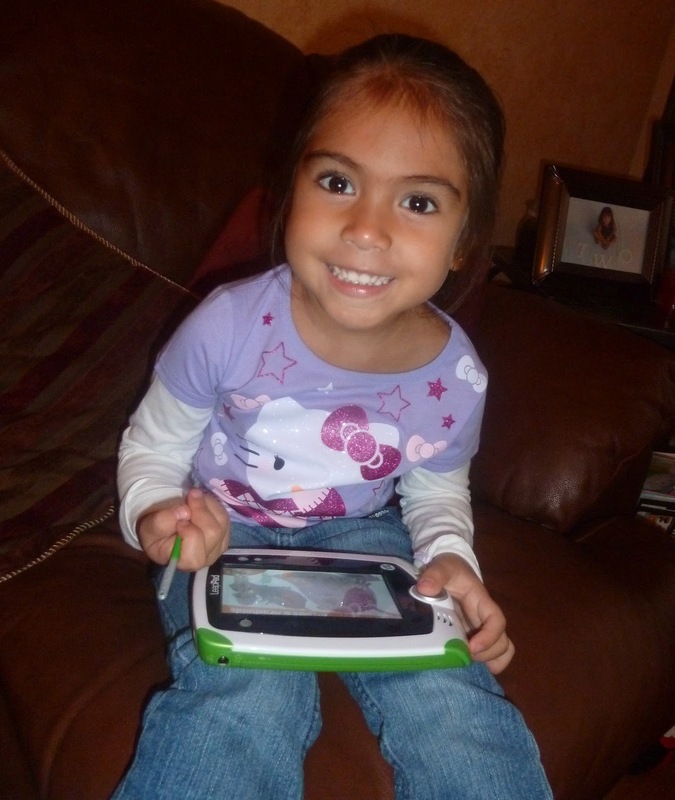 The apps make this an easy on-the go choice for kids since all you need is your LeapPad. There are various apps that are very affordable and games/cartridges are about $24. There is lots of learning fun to be had with the LeapPad - kids can enjoy fun games that practice phonics, spelling, reading, writing, math and more. My only con in regards to the LeapPad is that it uses up batteries fairly quickly but the Lil Divas have been using it quite a bit since it's new and so appealing. Of course a party just isn't a party without some food and snacks to accompany all the fun & games. 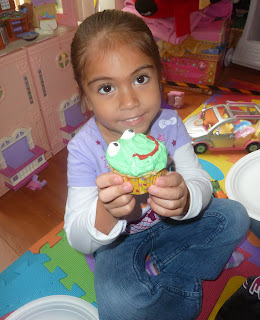 So I whipped up these adorable frog cupcakes in honor of our Froggy friends Leap, Lily & Tad at LeapFrog. 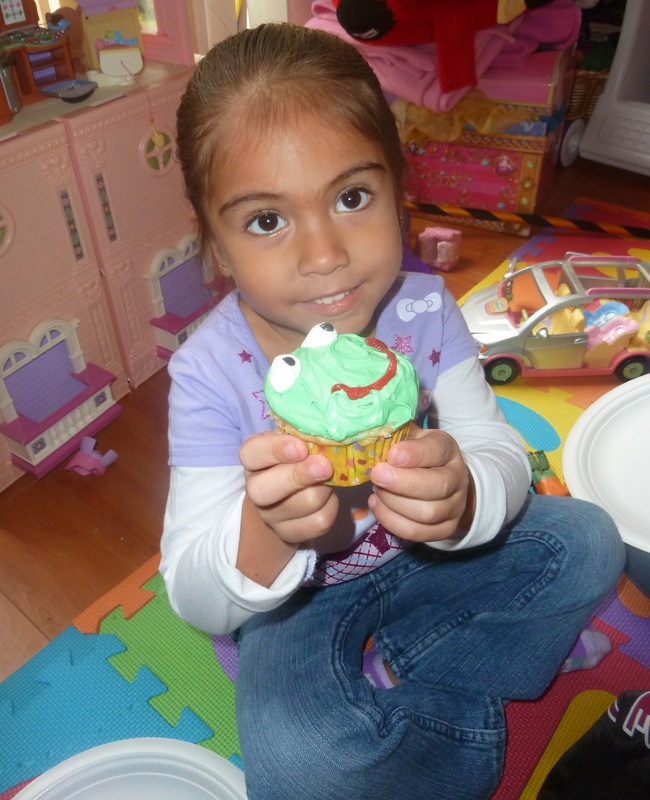 Ah, nothing beats enjoying a yummy frog cupcake after a fun afternoon of games with friends. 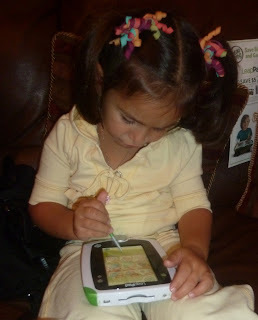 Disclosure: I received LeapFrog products in order to host a Learn, Create & Share Party. This party was sponsored by Leapfrog and Mom Select . That being said - all opinions expressed are my own and reflect my 100% honest opinion of these products. I am not paid for my reviews or optinions! They are 100% mine! Please remember that your opinions and tastes might differ from mine. This looks like a lot of fun! I like the world map for when my sons are a tad older. Plus, cute cupcakes! FUN FUN FUN - We love Leap Frog too =) Your muffins are the icing on the cake! How creative! Never heard of a party like this before reading it here. How awesome. I love the look of that map. And the frog cupcakes are adorable.